Rochel Marie Lawson is a Registered Nurse, Ayurvedic Health Practitioner, Holistic Health and Wellness Consultant, International Best Selling Author, Speaker and Radio Show Hostess. 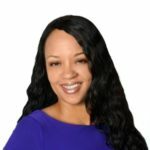 She is the President of The Health, Healing & Wellness Company, which was founded to bring holistic health and wellness into the lives of individuals seeking a natural path to wellness. Rochele’s energy, guidance and enthusiasm have helped thousands of people improve their health and wellness, holistically and naturally. She is a successful entrepreneur and is the author of the book “Intro To Holistic Health, Ayurveda Style.” She has her own blog, www.ayurvedahealing.org, and is a contributing article writer for the International magazine, SIBYL. She has her own weekly radio show “Blissful Living.” Rochele has spent over 25 years assisting people to achieve optimal health and wellness so that they can live the life of their dreams with more energy, vitality, mental clarity, alertness and mental focus while reversing the aging process. Sick and Tired about being Sick and Tired? Heal in ways you never thought possible!